Paging all Port Charles Residents… Save the Date! 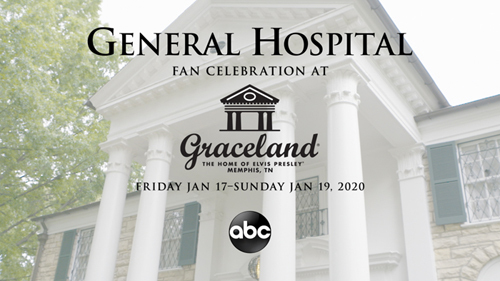 Graceland and ABC Television Network are teaming up again to celebrate the longest-running American soap opera and longest-running scripted television drama currently in production today. Make your plans now to join us in Memphis, TN for an all-inclusive 3-day weekend packed full of “General Hospital” stars, parties, panels, shows, dinners, autographs, photo ops, Elvis Presley, and more! Packages for the 2020 event will go on sale soon, so be on the lookout for more news and information about next year's lineup and ticket offerings.